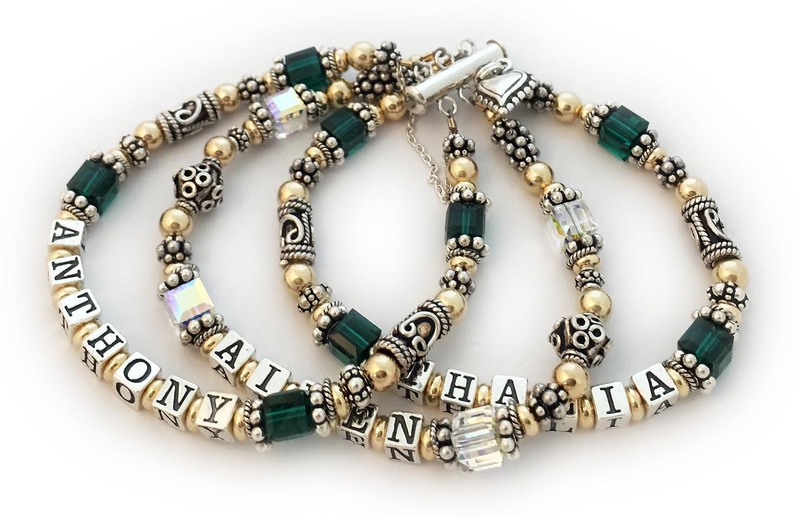 I have lots of customizable Gold and Bali Crystal Birthstone Name Bracelet designs. 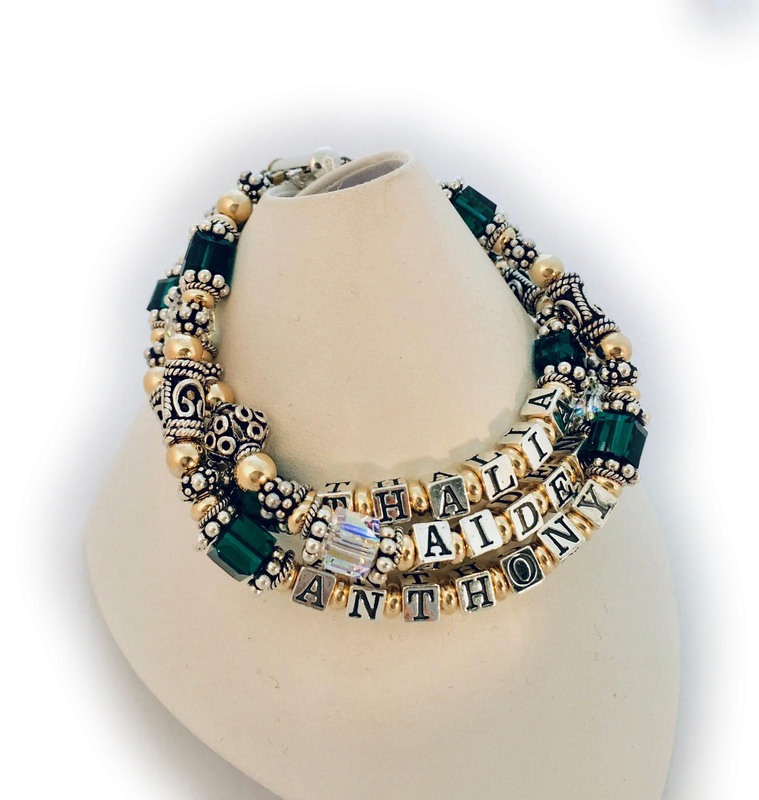 This 3-string bracelet shown (more pictures below) is shown with 1 add-on: a Beaded Heart Charm. I used a sterling silver 3-string slide clasp and added a catch chain. I use only the highest quality Swarovski Pearls, .925 Sterling Silver and 14k Gold-Filled available! You also have the option of putting 2 or 3 short names on one string. 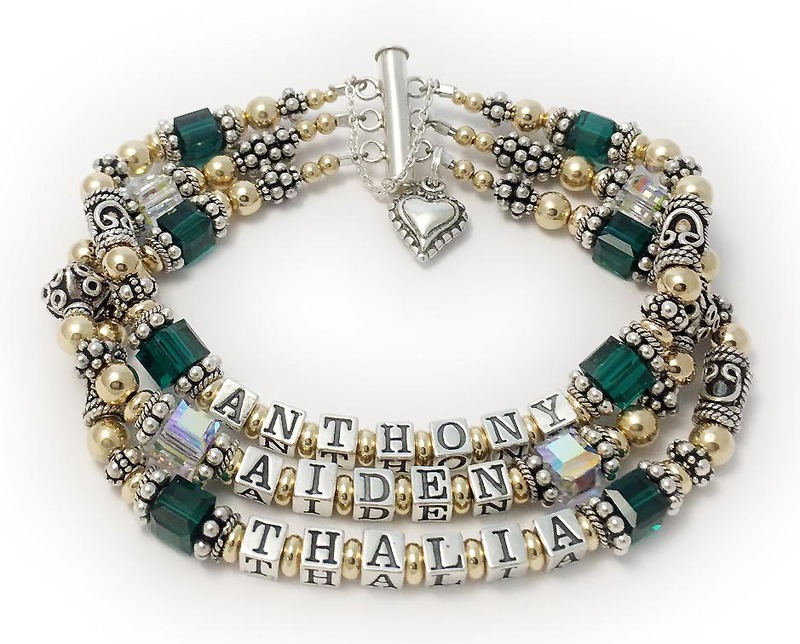 If you had 10 grandkids and they all had really short names you could put all 10 names on a 5-string bracelet. If you have questions or would like to further personalize this Swarovski Crystal Birthstone Name Bracelet call or text me 615-490-2177 with questions or to place your orders. 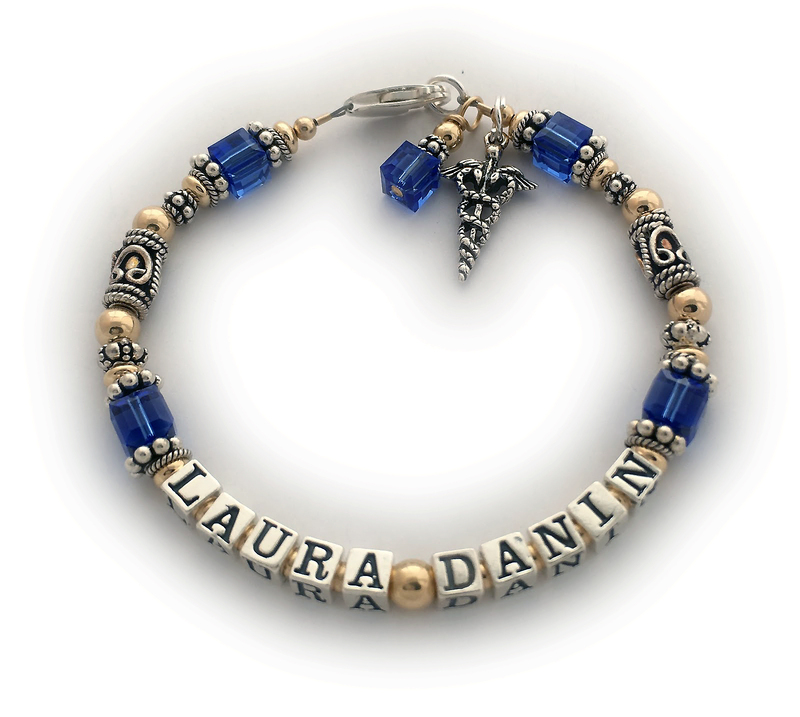 This bracelet has the name LAURA DANIN with a Medical Charm and September birthstone crystals and a September birthstone crystal dangle charm. Shown with a Lobster claw clasp.